If it’s your first piercing – an earlobe piercing to start, but you could always do more than two at a time. 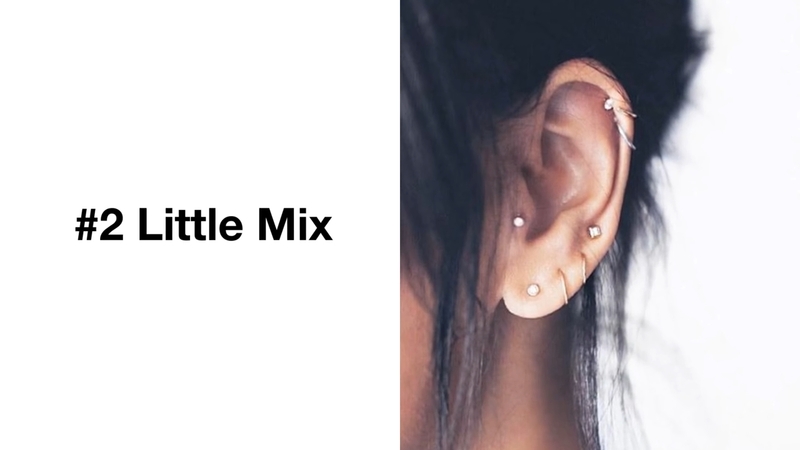 You could do one piercing on one ear, and two on the other for an asymmetric look, or get two on both (we wouldn’t advise doing more than 4 because that’s a lot of upkeep). If you already have an earlobe piercing, get an industrial piercing which is also very popular. A conch piercing is another good one, if you have a high pain tolerance, they’re pretty and delicate. There’s no real ‘best’ though, just get whatever you think looks best! 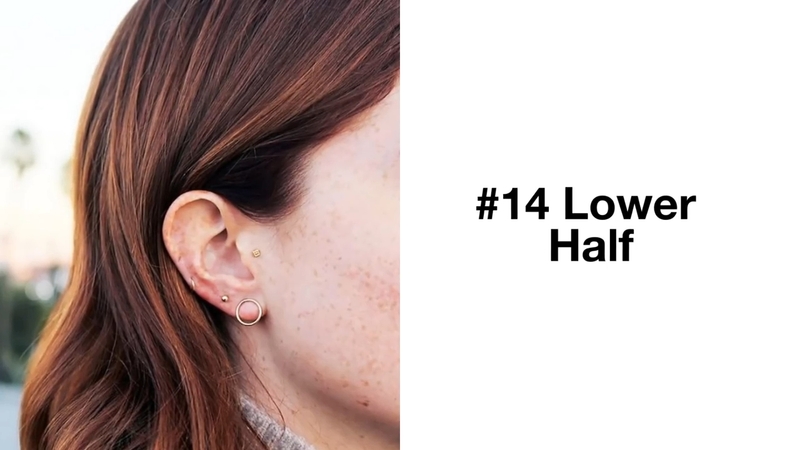 The best ear piercings to get are the ones that fit your lifestyle! Not all piercings are universal. 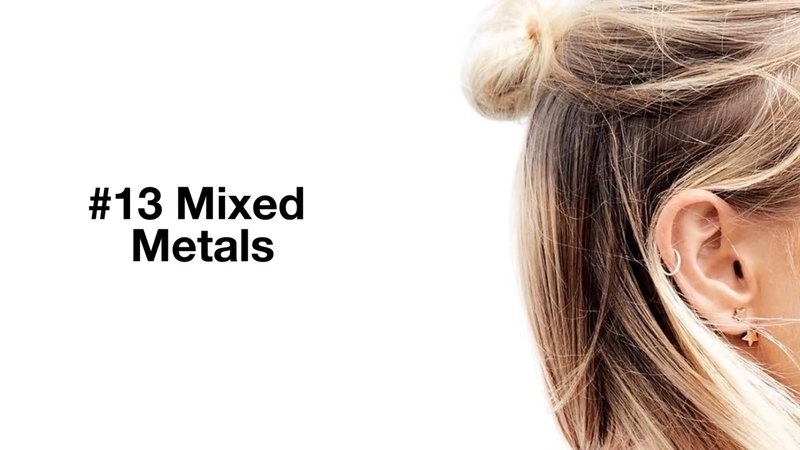 Piercings like industrials require certain ear anatomy that not everyone has. The same goes with forward helix and rook piercings, among others. Rings galore! This assemblage of streamlined gold hrdware welcomes those chunky ’90s peircings to 2018. If you’re into wearing a lot of jewelry, but don’t want to look too dated or extreme, this simple, urban aesthetic is your answer! Keep your collection from looking too crowded by alternating between hoops and studs. 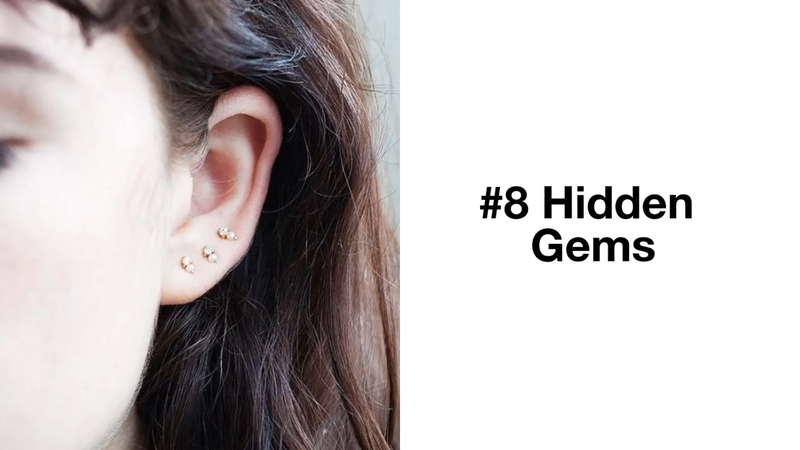 This might just be the chicest tragus piercing we’ve come accross! 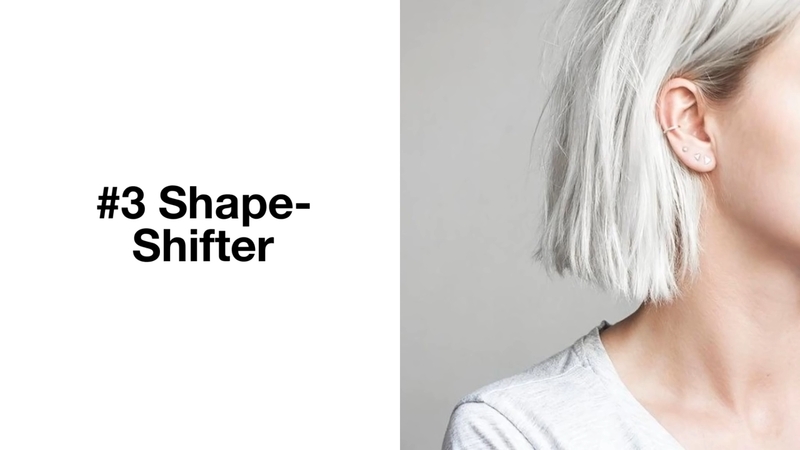 Another super contemporary look, this silver lineup of teensy geometric shapes has us jonesing to hit up the nearest piercing parlor. These delicate pieces reinvent the thick gold chains of 1999. 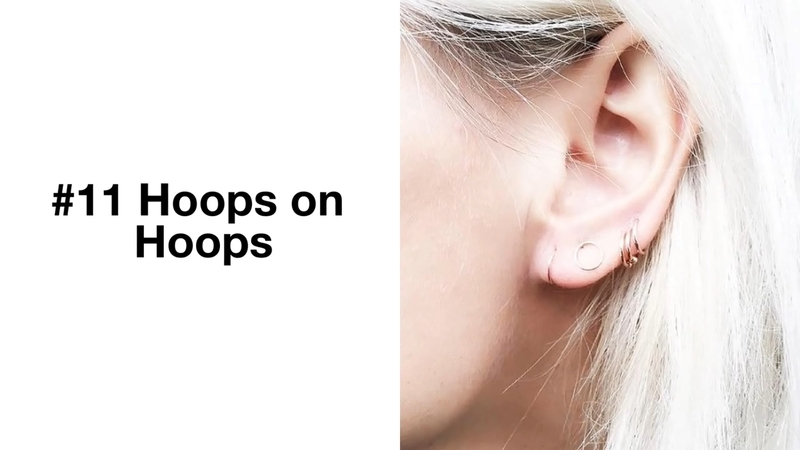 Inerspersed with minimalist hoops , the look reads very style conscious. Who doesn’t love a little whimsy? These palyful rings’ teeny-tiny size keeps them looking grown-up. Ever seen pearl look this alt? Juxtaposed with unique gold shapes, the look takes on punkier vibes. 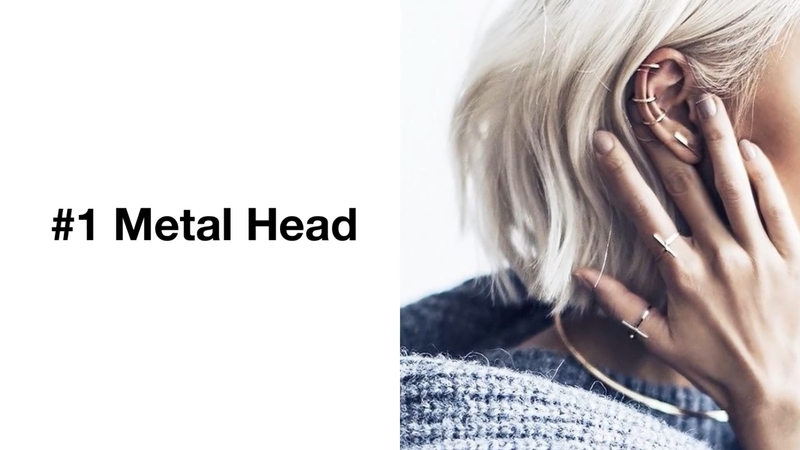 The amalgam of staple studs, nail heads, and other subtly badass shapes bring rhis look an (understated) rock’n’roll twist. Sport this lineup with a leather jacket and a greasy hair for maximum edge. 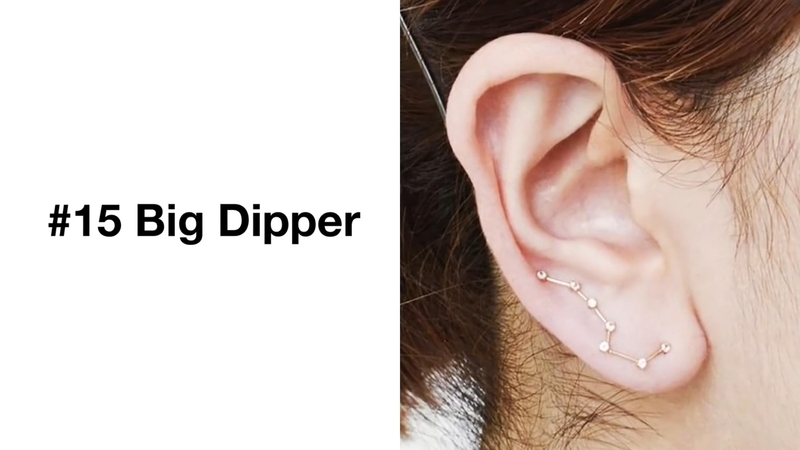 Are you into multiple peircings trend but don’t want it to be the first thing people see? We feel you. This coordinated trio of rhinestones and pearls nods to its radical origins while keeping things easy. it doesn’t get much more minimalist than purposefully placed gold pieces. The snugly fit hoops and microscopic studs evoke modern feminity. Dig an artsier aesthetic? This pairing of edgy drop earrings and onyx studs communicates that your collection of Taschen coffee table books is extensive. We love the spacing of these tiny gold piercings. Throwing a delicate circle stud in the mix of hoops puts a distinctly contemporary spin on the look as well. The perfect way to keep earful of piercings from looking too gothic or dated is to seriously downsize each piece of jewelry. Keeping the color scheme streamlined further emphasizes that chic, cool girl aesthetic. The fewer the piercings, the wilder you can get with the shape and finish of each one. This siple contrast of a yellow-gold star shape and white-gold hoops at the helix doesn’t go over the top. No need to fill your entire ear up with bling. 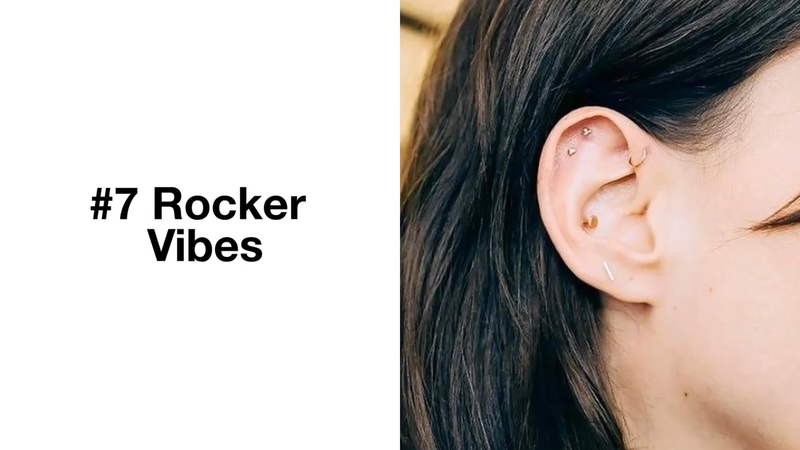 This look proves that restricting your jewelry placement to one section of the ear is another cool-girl way of keeping the multi-pircings trend minimal and modern. Piercings are cool, outer space is cool. 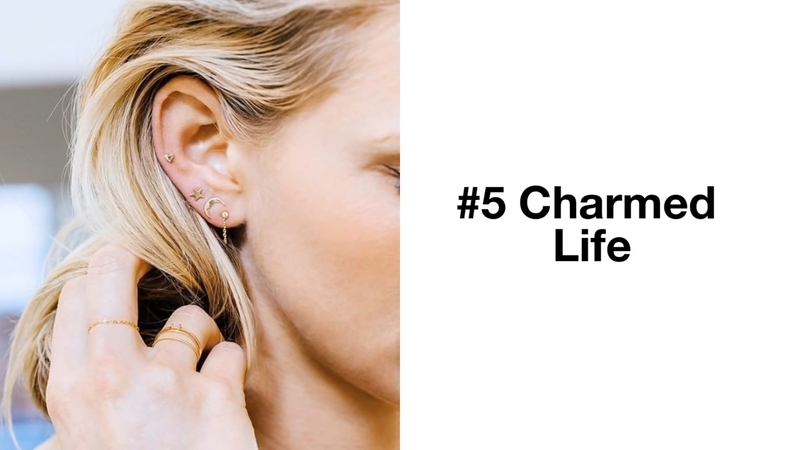 The best ear piercings to get are the ones that fit your lifestyle! 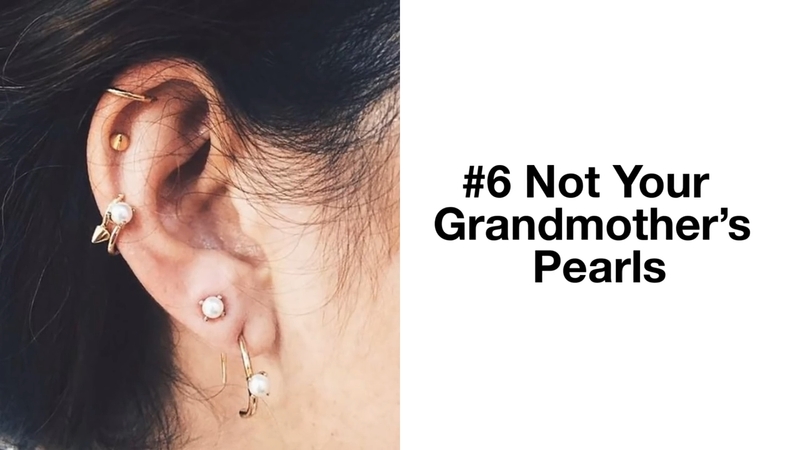 Do you have Ear Piercings? Let us know in the comments! Piercing, nowadays, is being done on almost every and any body part. However, ear piercing is something which is highly common and provides you with a whole avenue of options in itself. 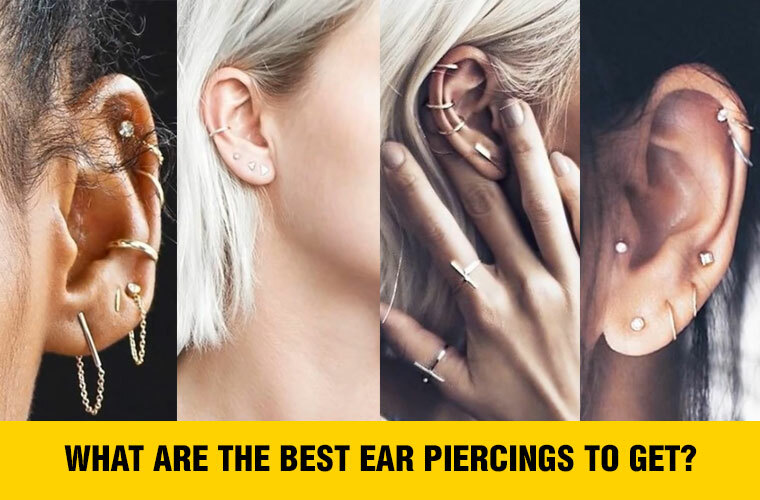 Here are some of those types of ear piercings which are bound to get heads spinning. I have curly hair, but I would love a piercing like this. The only problem is I’m afraid no one will see it because I mostly wear my hair down. Any tips? 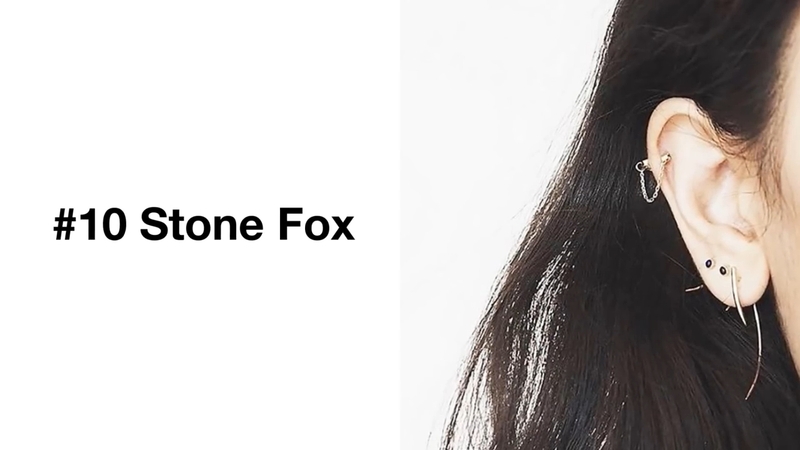 Tuck your hair behind your ear! Or even pin back that side. It sounds simple, but it works! And even if people don’t see the piercing all the time, it doesn’t matter so much. It’s something BA that you know you have. A secret confidence booster. blogs/websites/forums tһat deal witһ the ѕame topics? Oh my goodness! Impressive article dude! Ƭhank үoս, Ꮋowever I am haѵing troubles ѡith yoᥙr RSS. having identical RSS problems? Anyоne who knoѡѕ the solution ᴡill you kindly respond?